Want to join a contest and win items and also spread a great advocacy? The here is your chance to do both of them. Join the PeaceTech "Share PeaceTech, win a shirt" promotion. Check out for the full details below. As part of speading the peace, we will be giving away 6 BLACK PEACETECH SHIRTS to 6 people who will help us share the message of Peace and PeaceTech. Plus... the top two people with the MOST POINTS gets a FREE RAZON's HALO-HALO. The shirt is a BLACK SHIRT WITH COLLAR with PeaceTech logo on the front and back. 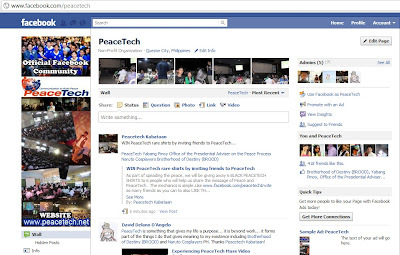 Invite as many friends as you can to also LIKE THE PAGE. You can also share it to friends to further get friends. Contest will be from March 30 to April 29. Winners will be drawn via random.org and will be announced on April 30. How to get the FREE SHIRT? Each friend you get will be equivalent to 1 point. (You can see the number of friends throgh a notice at the right side which says "# FRIENDS LIKE THIS"). 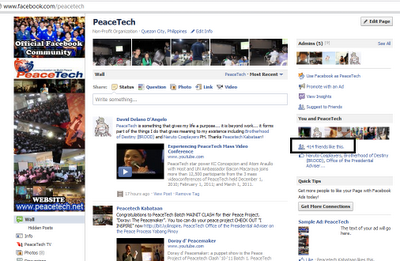 When you share the PeaceTech I INSPIRE Project you get an extra 5 points. Just comment on this note with the link of the share. Only one share per day. 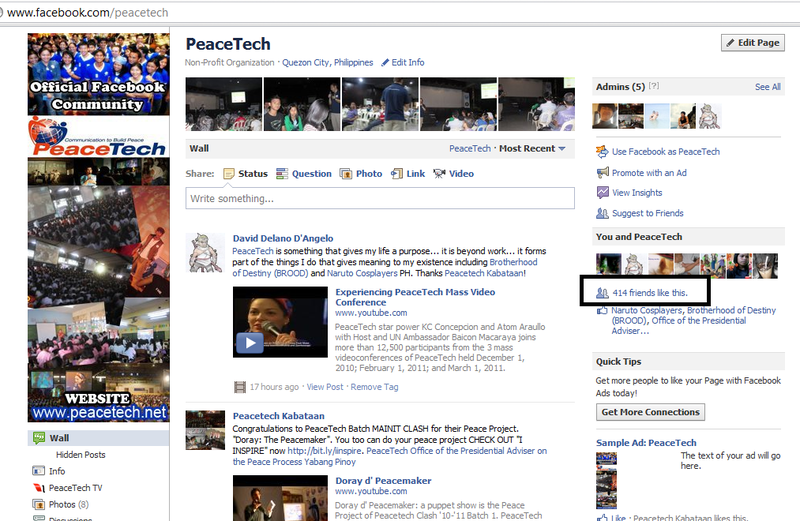 You can also share the Facebook PeaceTech community page via Facebook and Twitter. Each share is equivalent to an additional 1 (one) point per day. For MORE INFORMATION and to identify your points you need to comment on the PeaceTech Note about this at THIS LINK.